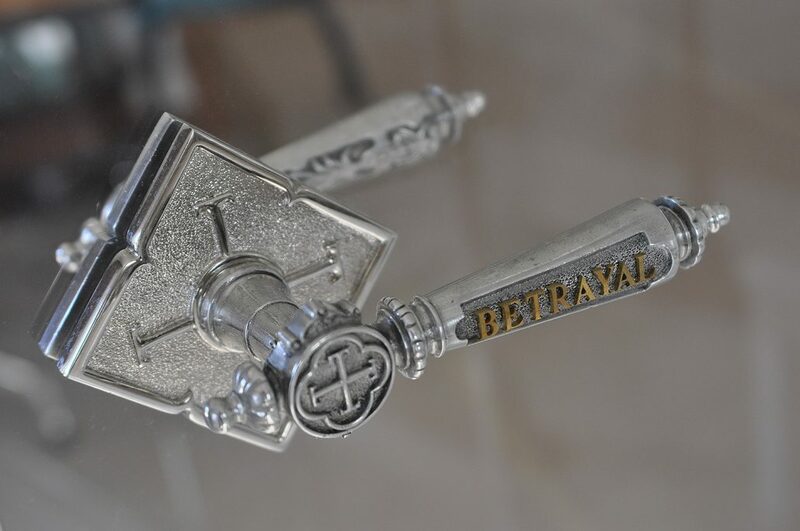 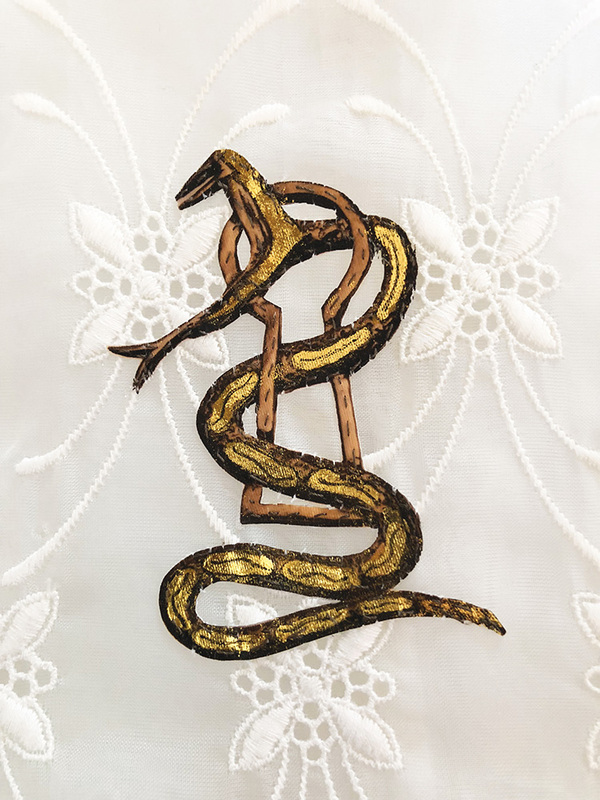 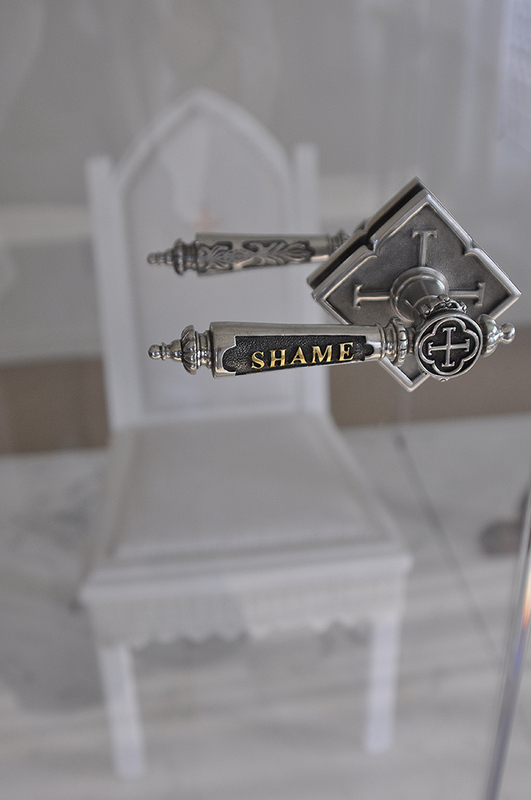 For the last decade Irish artist Trina McKillen, based in Los Angeles, has been making a series of artworks confronting the global issue of sexual abuse committed by Catholic priests and the protection of those priests by the hierarchy of the Church. 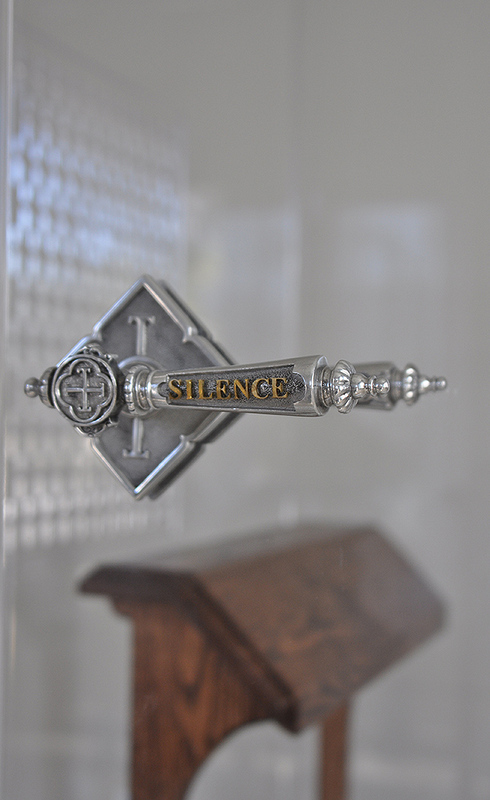 Understanding the devastation this abuse has caused to individuals and families and upset that the current international debate has lost sight of the child victims of these crimes, the goal of her work is to give voice and visibility to those children and refocus attention on a dialogue about their healing. 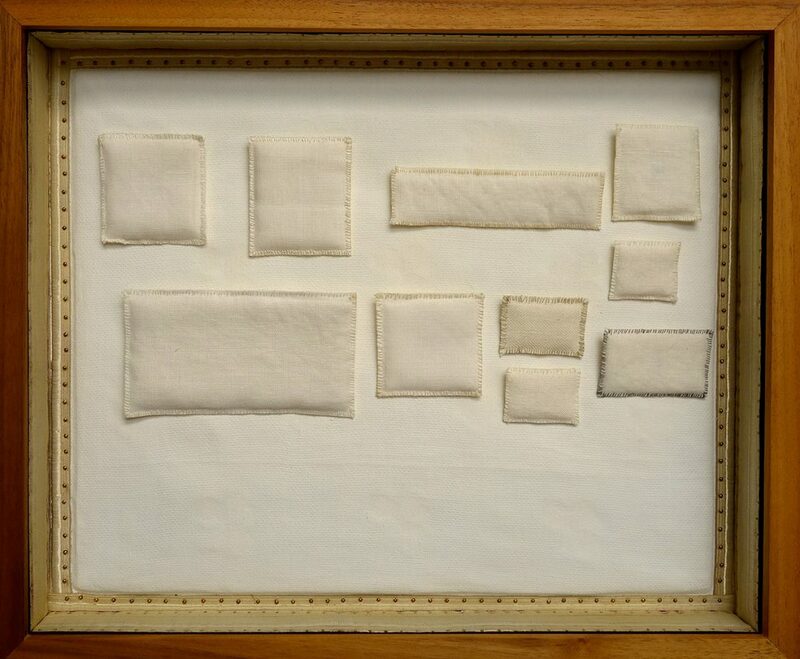 She does this through the immediacy of the experience of art. 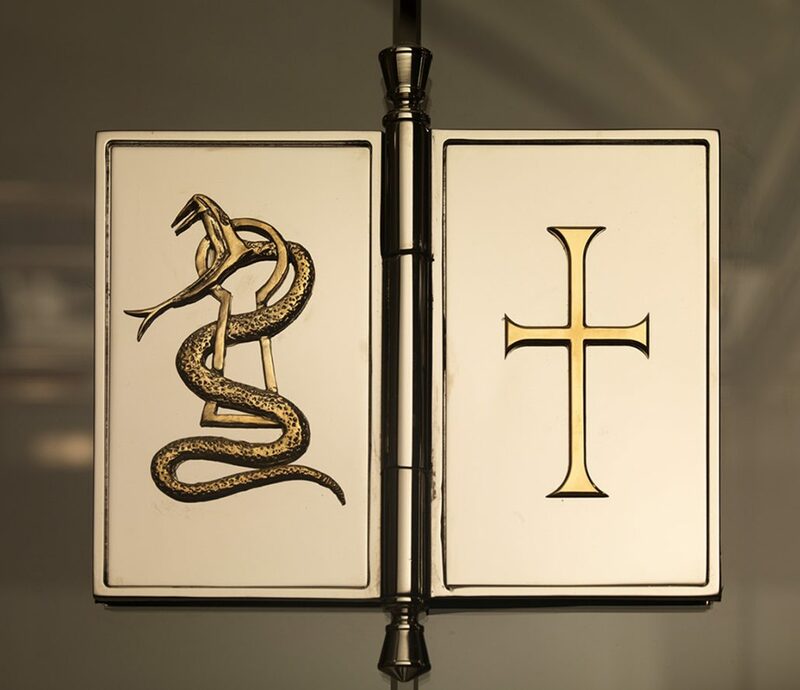 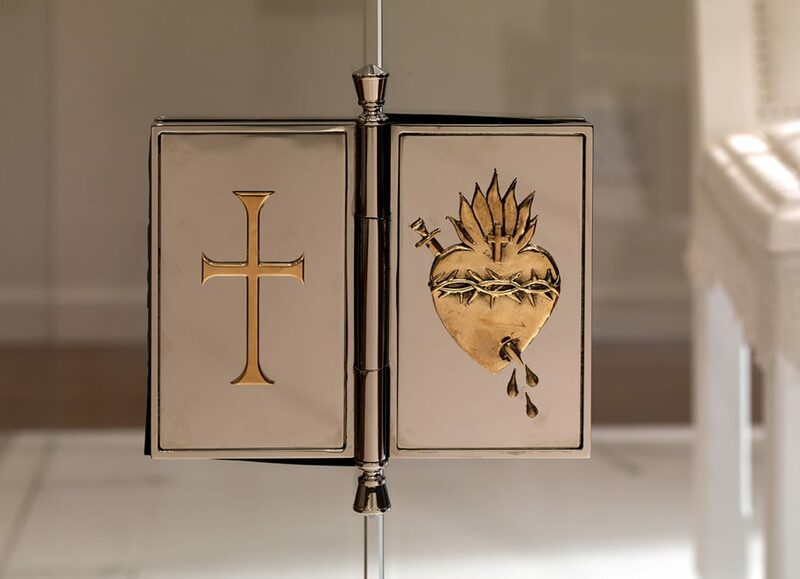 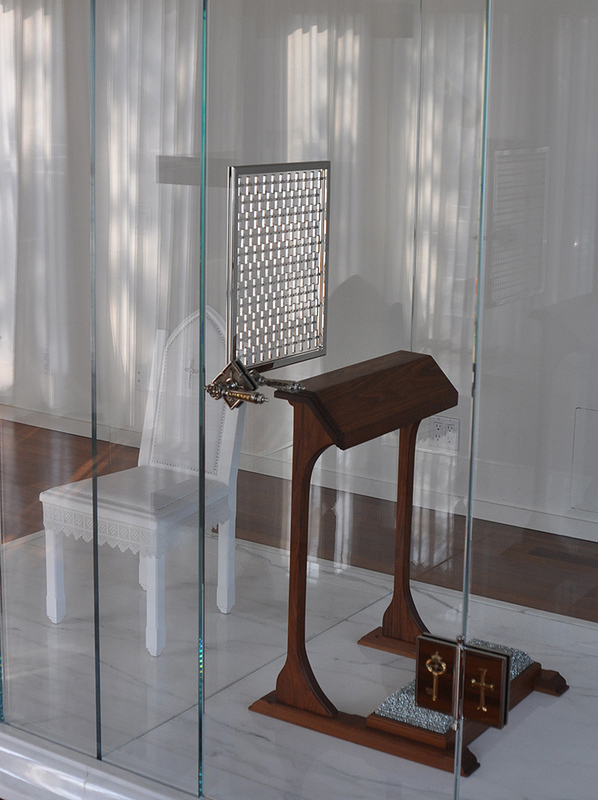 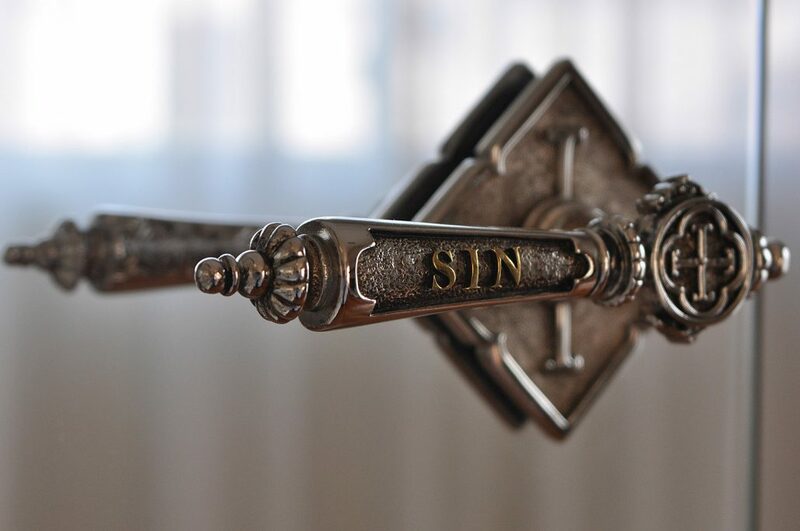 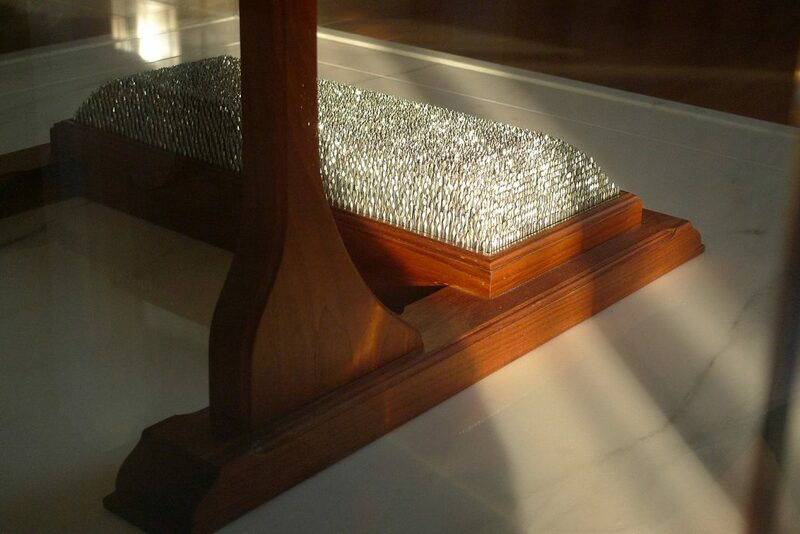 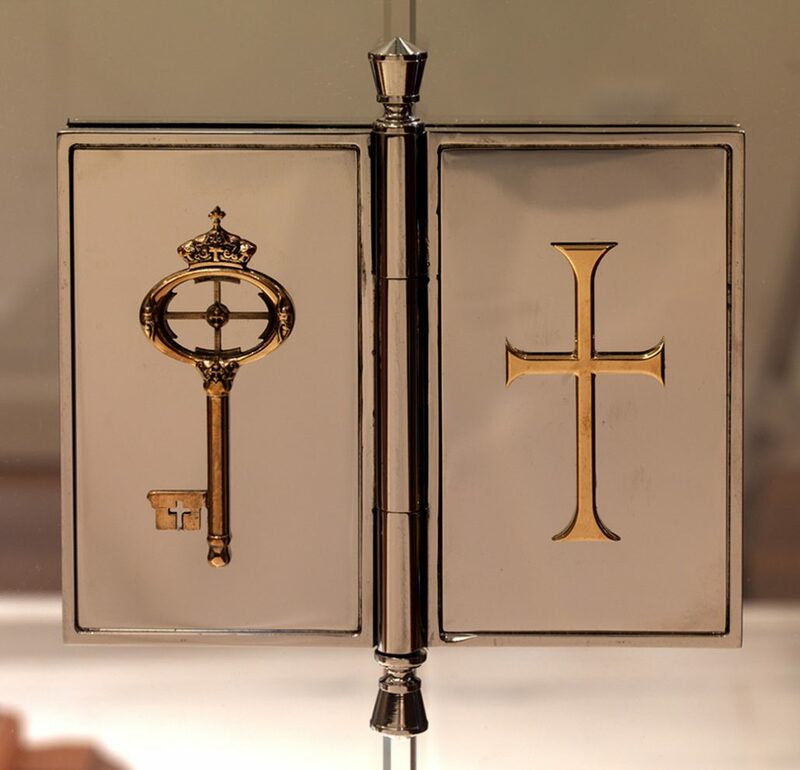 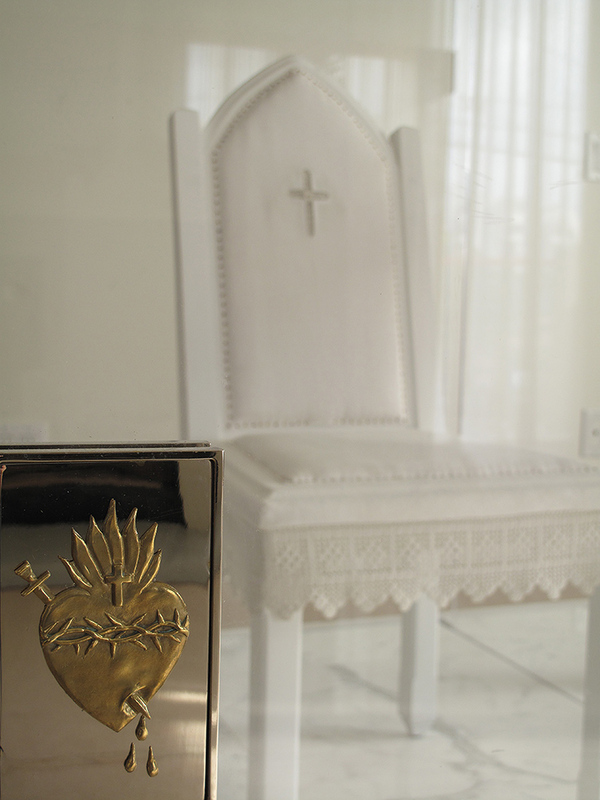 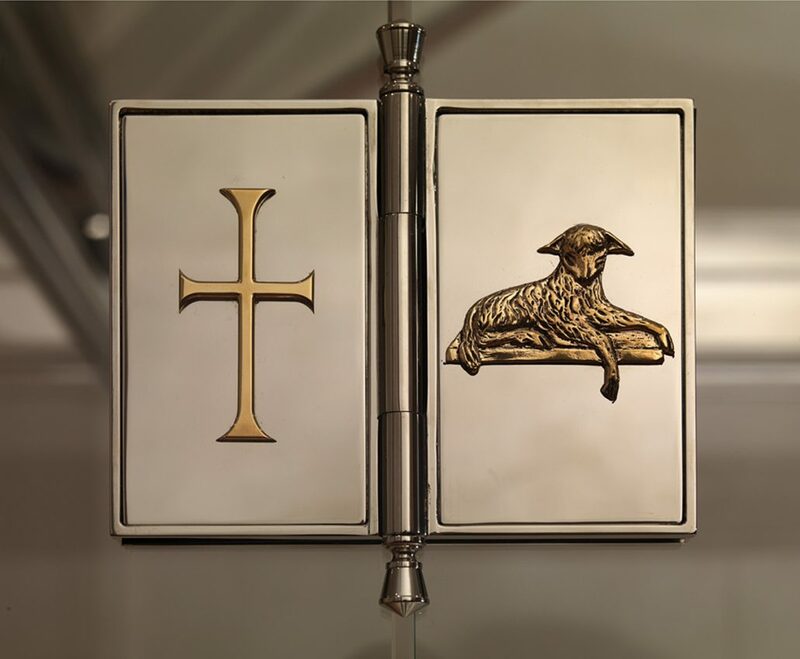 She created an intricately detailed, life-size glass confessional titled Bless Me Child For I Have Sinned that positions the priest to kneel and ask for forgiveness. 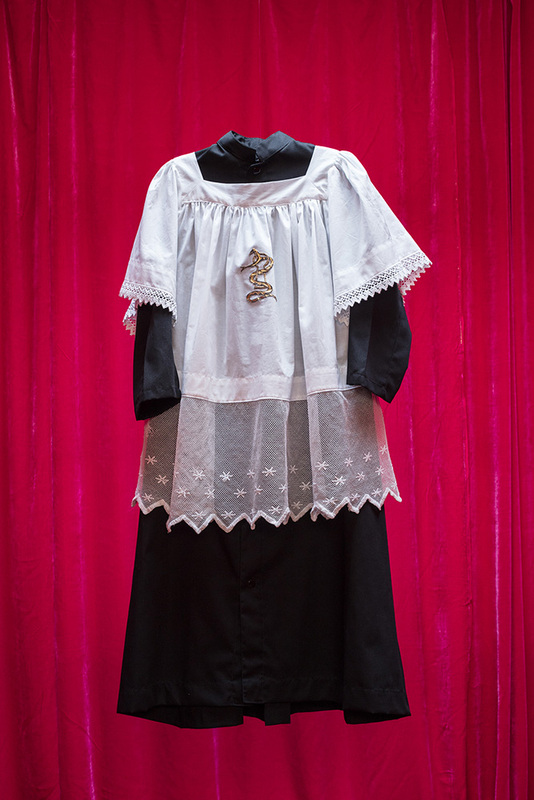 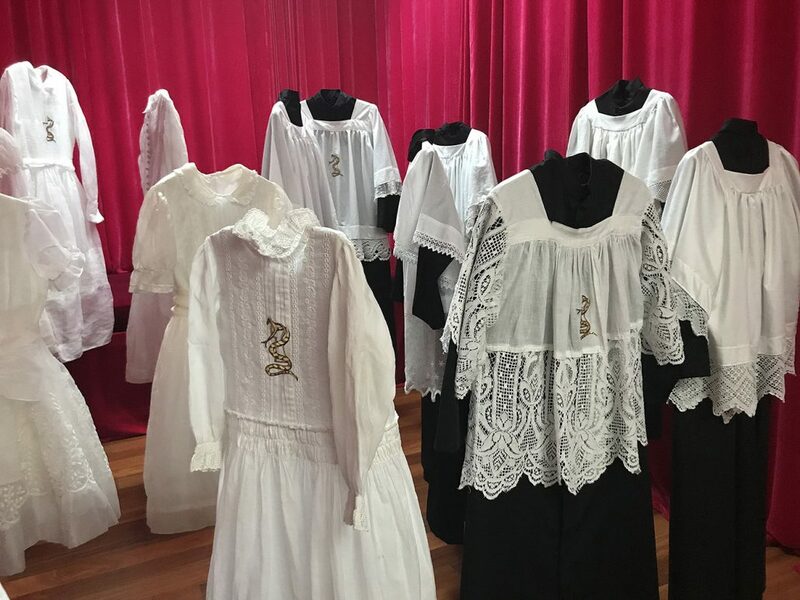 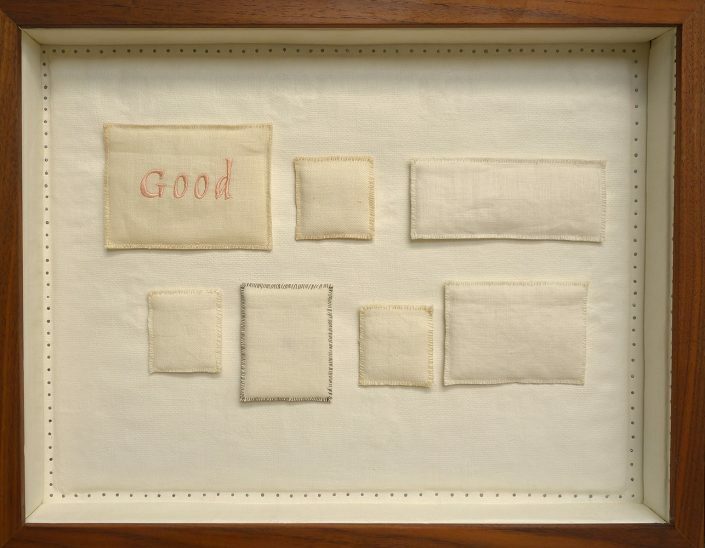 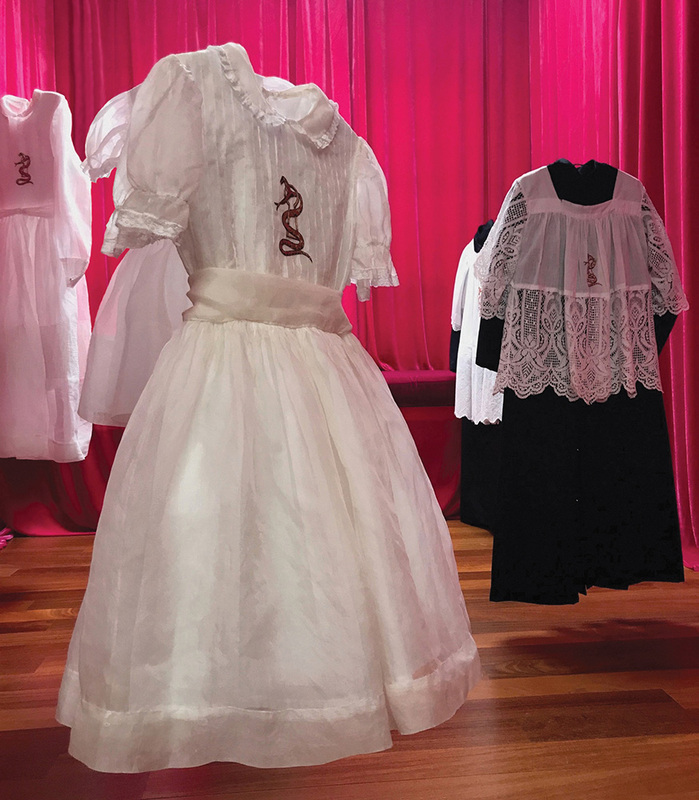 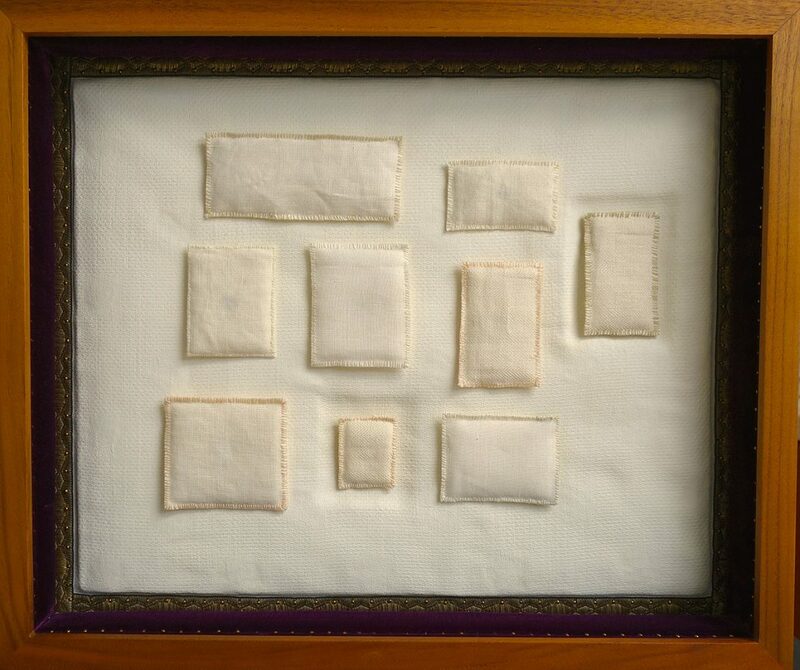 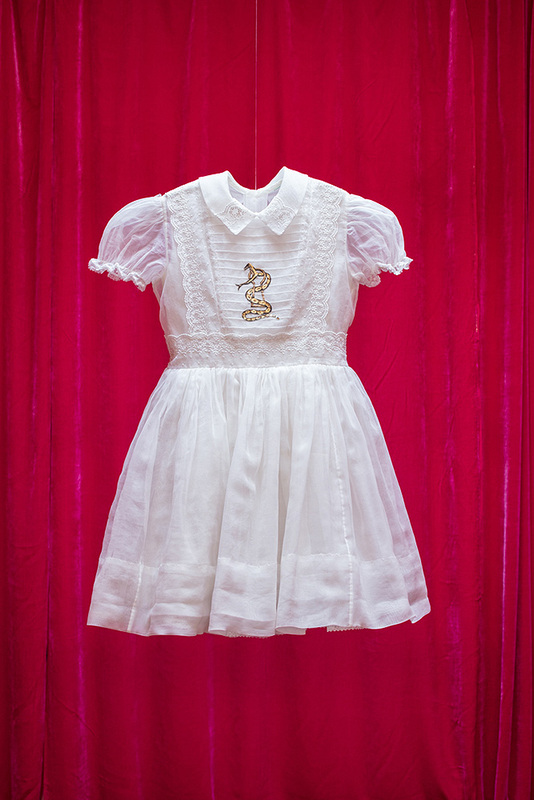 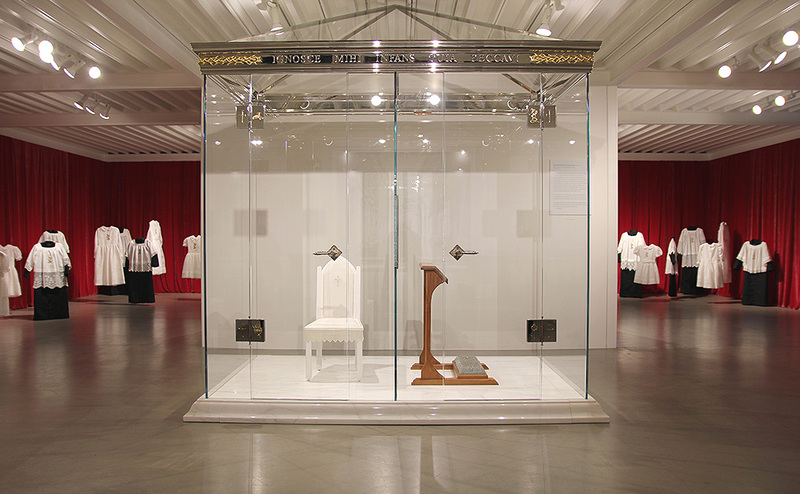 Her installation The Children features 20 communion dresses and 20 alter boy vestments that make visible the hidden scars and her Stations of Hope 1-14 present delicate little embroidered patches that act as bandages or poultices for these physical and psychological wounds. McKillen lives and works in Los Angeles. 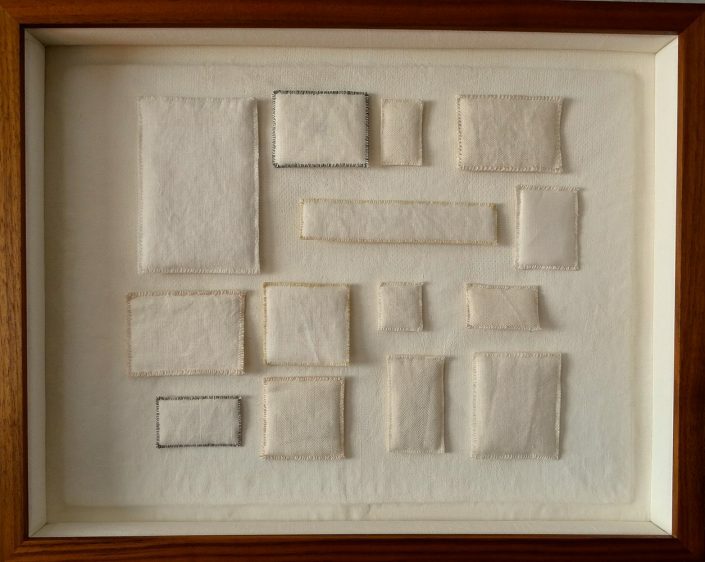 She was born into a Northern Irish Catholic family and grew up experiencing the violence of The Troubles in the Belfast neighborhood of Andersontown that was a stronghold of the Irish Republican Army. She moved to Dublin as an adolescent and studied art at the National College of Art and Design in Dublin from 1984-1989. 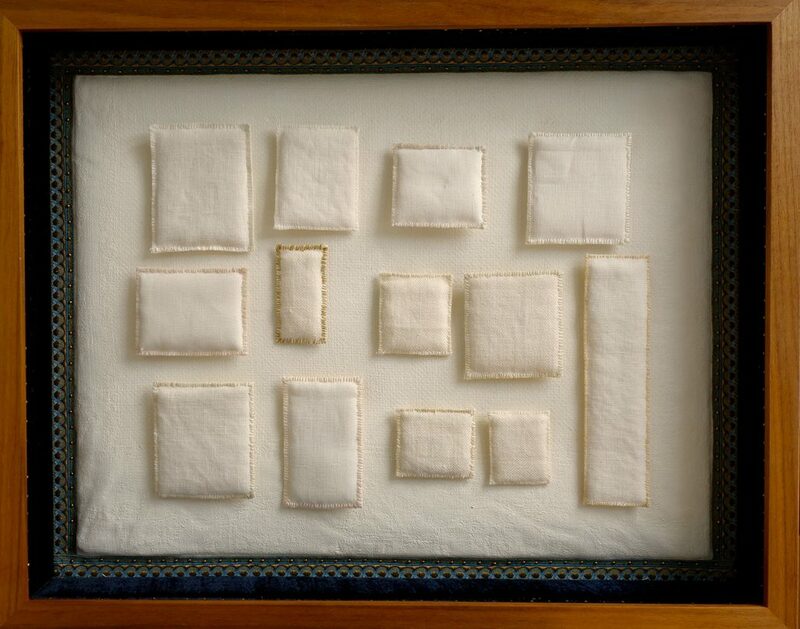 In different media, her work addresses feeling and numbness, beauty and ugliness, spirituality and profanity, life and death.